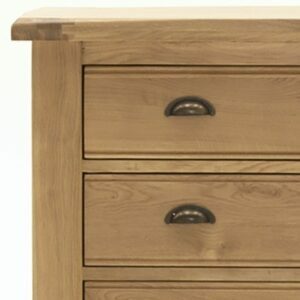 Stunning Brents Oak Dressing Chest of Drawers made using beautiful white oak veneer and solid lumber. 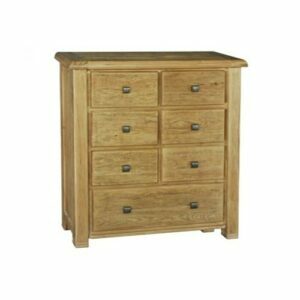 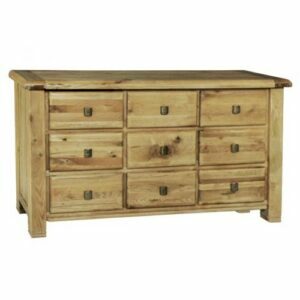 Luxury Breeze 6 Drawer Chest of Drawers built and designed to bring character to your home. 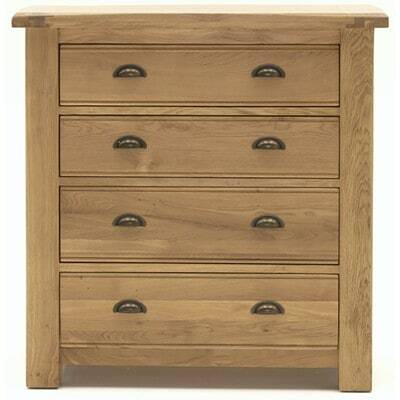 Stunning Breeze Oak Dressing Chest of Drawers made using beautiful white oak veneer and solid lumber. 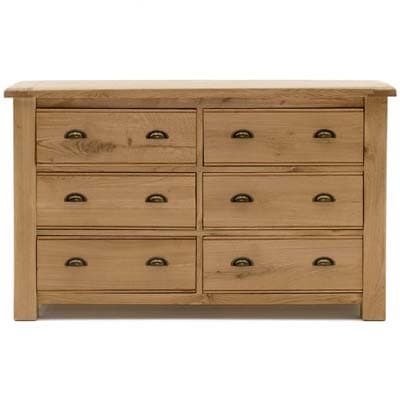 Features 6 drawers which makes this chest of drawers a perfect storage solution and completed with a stylish pewter cup handles.